so i read the frequently suggested post a few moments ago and it was clearly stated that stam gain upgrade will never increase above the 25/25 (discounting the starter pack). I was wondering why, especially at this point where there are players who have large amounts of max stamina, and huge level caps why not a moderate increase on the available max stam upgrade i am not talking about like another 25 but maybe 5 or something id leave that up to you but it would be more attractive to newer/mid level players just a thought and a curiosity as to the reason why, thanks for your time, love the game! Edited by duktayp, 28 March 2019 - 22:15. (18:19) BigGrim : I think Hoofmaster said he won't be touching stam gain. Dunno. Because Hoof doesn't want it to change. We're not supposed to play FS 24/7. While your stam builds, do something productive like mow your lawn, play with your dog/cat/kids, clean your garage, go outside and play. I can guarantee you he won't answer here as this topic has been done to death. Edited by BadPenny, 29 March 2019 - 17:03. Really, you sure about that? How come most of the 'bloated guilds' now get in the region of +10 stam gain per hour via relics? Edited by DirtyChick, 30 March 2019 - 04:10. Open it up wide!! Game could use the donations. It'll cause max stam purchases a new resurgence in the end. Do it! I only know what has always been said in threads like these, that the Cows won't be changing base stam gain.... Relics, Epics, the +2 from the Epic quests and what you get from purchased packs are a different thing entirely. I agree wholeheartedly, I just don't see it happening. Although, many other games I play also have a very low stam gain (or whatever they call it) per hour, and charge 5-10 for more current stam than FS. So it's more or less standard in my experience. Players average max stamina pool is way higher than before. It sounds like an endorsement, I hope. If the argument against is that it is on a list of things that will not change, may I remind people of the smaller list of things that used to be on that list that have changed! I agree fully that many things have changed and I think that higher than 25/25 stam gain upgrade using FSP is something we would welcome generally as a community. For players like us, it is one of the improvements to the game we would like to see. It would encourage more HCS donation sale all in all in the end as well as increases HCS revenue. It's a win-win situation for both players and HCS. Playing Devils Advocate here .. I'm not so sure that upping the base stam gain IS a good idea - mostly from an EOC point of view, it has to be said. We wait months and months for content (oh, how I miss the good old days of regular content) and there's only so much else we can do with stamina. I use mine for SE hunting, DQ's and Events, and I know others use theirs on Titan Hunting etc, but we seem to manage quite nicely with the stam gains as they are. Also, if stam gain IS increased, then the bottle neck at EOC will, obviously, increase, putting further pressure on the cows for new stuff. Edited by activeh1, 09 April 2019 - 10:33.
can see a huge floor in stam gain for fsp ,lets say they bring it in ,i spend all my fsp on stam upgrade does that mean ill get 15 k stam an hour ,if its 1 fsp for each upgrade ?? We don't need anything nearly so game-changing, I think all would agree taking it this far would break the game. But I do believe that an increase to the cap, even to just 30/30, would greatly benefit those with larger stam banks and encourage the lower levels that might otherwise wander off to stick around. 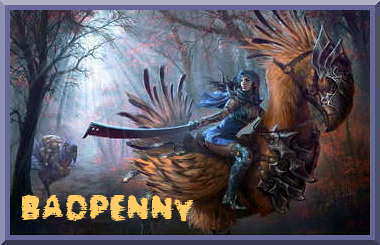 Edited by BadPenny, 02 April 2019 - 10:23. Hmmm some of my emojis didn’t work... mehhh that needs to be fixed as well!!!!! Get on that HCS! I believe if the stamina gain is increased then the prices for most items would drop further and cost of fsp would go up. Mostly because of hunting would be more frequent and income would increase. I agree with leaving stamina gain where is it now.